Meltdown: Inside Out is an audio documentary, produced by Inside Out, that explores four regions of the world where the effects of climate change are being felt, the Arctic ice cap, Greenland ice sheet, Peru's mountain glaciers, and Antarctica. Blogging and podcasting are great ways of finding out about what is happening in the world, things that one might never even know about. There are blogs and podcasts of all kinds of things, politics, entertainment, and educational, anything you can think of. From your own home you can communicate with others, anywhere in the world, who share these interests. The blogs that I have been reading are The TED Blog and Long Views blog which have talks by people who are concerned about the future of mankind both physically and spiritually. The podcasts that I have listened to have allowed me to "attend" seminars that would otherwise be impossible to be a part of. I have listened to some Dharma lectures and seminars sponsored by the Long Now Foundation. In my blog I have links to some of these talks. Blogging has had a profound effect on society. The viral level of communication has given grassroots organizations more power with the ability to raise money and to connect to millions of people with the click of a button. The bi-directionality of this communication has given bloggers a more accurate picture of "what is going on". It's nice to see this revitalization of democracy. The World Wide Telescope uses the web to allow people to navigate through the universe pictorially. It is a creation of images from many different telescopes all woven together. It will be available in the spring and is located at www.worldwidetelescop.org. The picture to the left is the "first light" image from the Large Binocular Telescope of the galaxy NGC 891. View the video introducing it at TED 2008. 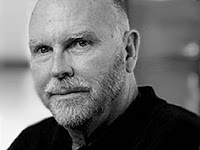 Craig Venter and his team were the first to decode the entire human genome. Since then he has been a pioneer in the new field of genomics. In 2003 he and his team spent a year sampling and mapping the ocean's newly discovered biodiversity. Cataloging and decoding the genes was finished in 2006 and it was during this research that he took a break to give this talk to the TED conference in 2005. He shares his discoveries one of which are the 2,000 photoreceptor genes found in the Sargasso Sea. He talks about the potential of environmental genomics to monitor the safety of air, water and offshore drilling, and then ends with his vision for engineered species that can replace the petrochemical industry by creating clean energy. This is my first post. I will be talking about global warming, synthetic life, sculpture, and anything else that is interesting. I will include articles, pictures and links to videos.